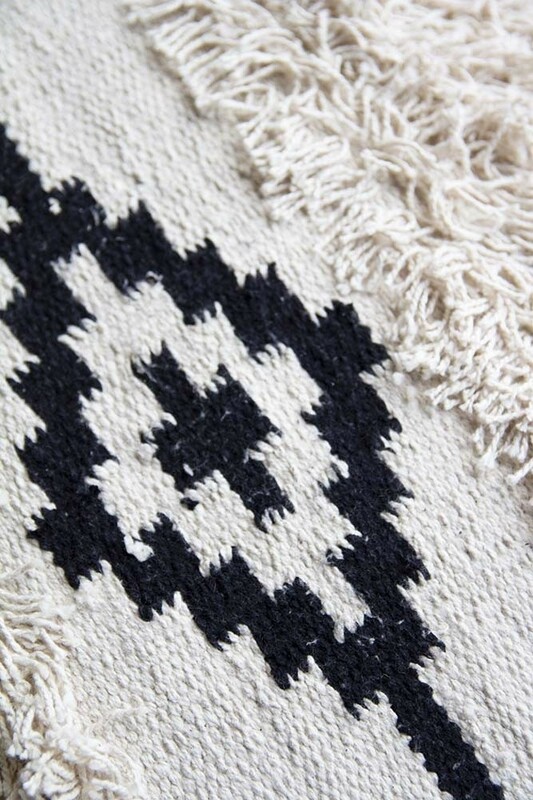 A stylish decorative cushion that will take centre stage on your bed, sofa, statement chair, or bar stool; the Rectangle Black & Natural Moroccan Benni Cushion is absolutely fabulous! 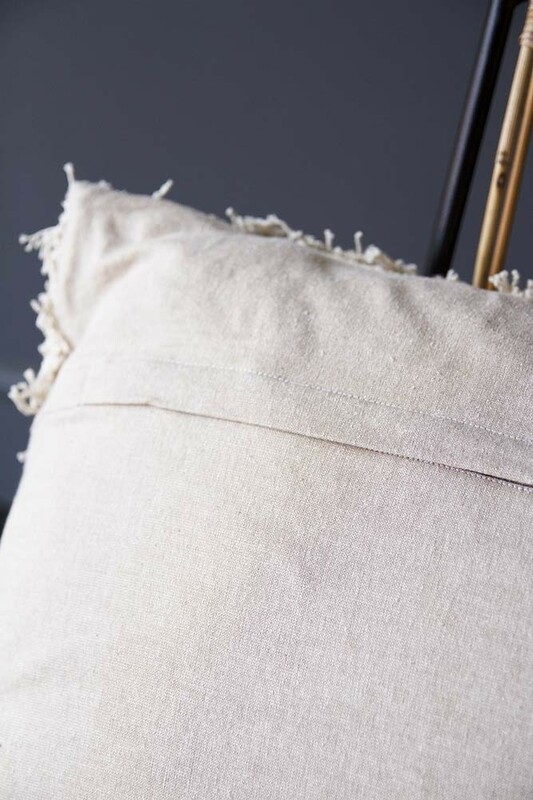 Decorative, textural and eye-catching the Rectangle Black & Natural Moroccan Benni Cushion ticks all of our boxes and quite frankly no home is complete without cosy cushions! 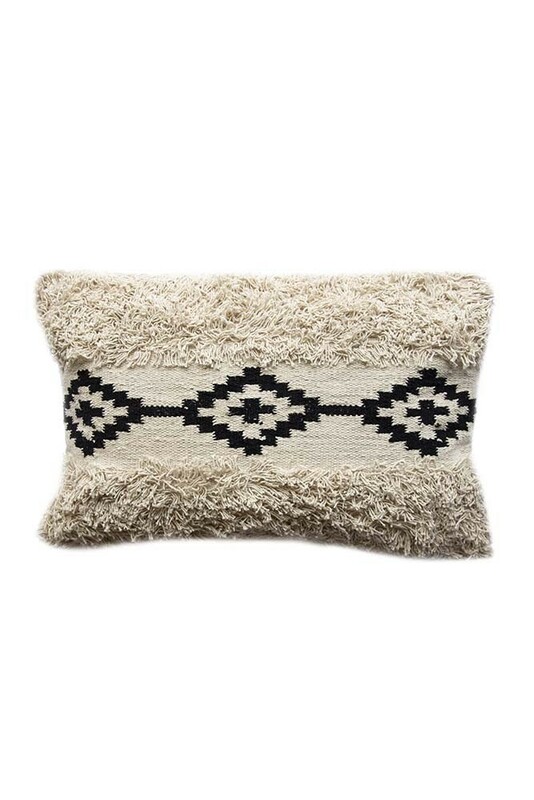 A ‘too glam to give a damn’ piece, the luxurious Benni Cushion features contrasting shaggy textures and bold geometric pattern that really draws the eye. 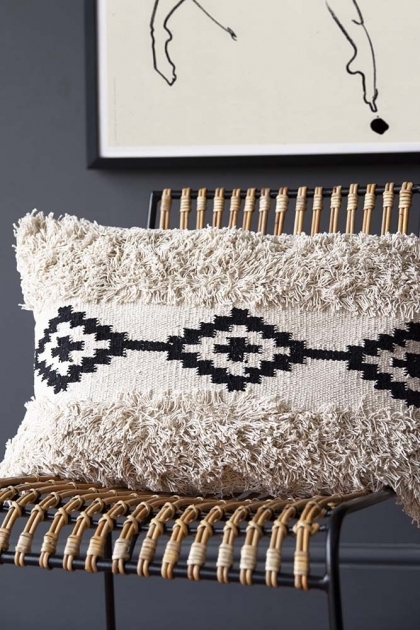 A beautiful home accessory that can be styled just about anywhere in your home, we also think that the Rectangle Black & Natural Moroccan Benni Cushion would be a wonderfully unique gift for your friends, families or loved one.